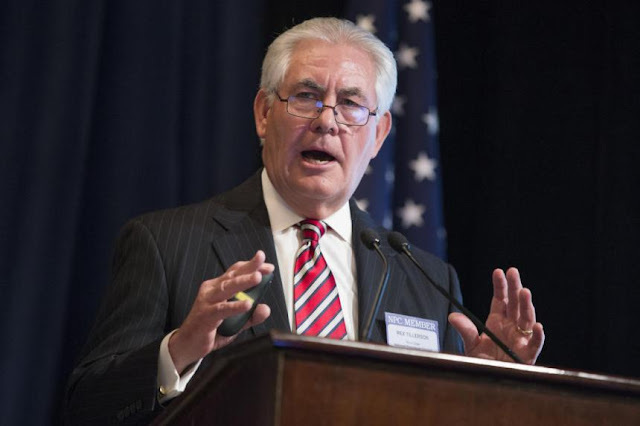 US Secretary of State, Rex Tillerson would visit Nigeria and four other African countries from March 6 to 13. Spokesperson for the Department, Ms Heather Nauert said Tillerson would also travel to Addis Ababa, Djibouti, Nairobi and N’Djamena. During his visit to Abuja, Tillerson is expected to meet with President Muhammadu Buhari and other top government functionaries. Nauert said: “On his first official trip to Africa, Secretary Rex Tillerson will travel to N’Djamena, Chad; Djibouti, Djibouti; Addis Ababa, Ethiopia; Nairobi, Kenya and Abuja, Nigeria, March 6-13, 2018. “Secretary Tillerson will meet with leadership in each country, as well as the leadership of the African Union Commission based in Addis Ababa. “This is to further our partnerships with the governments and people of Africa. During his trip, Tillerson will also meet with the country’s Embassy personnel and participate in events related to U.S. government-supported activities.